Which do you believe is stronger – the love of one’s country or the love of one’s soul mate? One young lover was forced to choose between his country of birth, France, or the woman he loved. It was a decision that changed the lives of two young lovers forever. 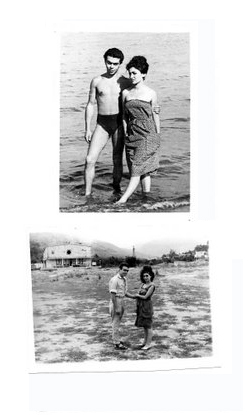 Jeannot was born in the resort paradise of Nice, France; and Laura, in the Soviet Union. She was among the Soviet elite, the daughter of a much-decorated military officer who served heroically in Stalin’s Red Army. The strikingly handsome young Armenian-Frenchman would meet the poised and beautiful, very serious Laura at the Polytechnical Institute in Yerevan, Soviet Armenia. Both were excellent students who blotted out their past lives to live in a fantasy world they would create together. Life can seduce those who dream the impossible, despite the fact that each nook was occupied by informants, and the terrifying truth that “Big Brother” is watching, listening and reading each written or spoken word. Dictators cannot tolerate those who believe in liberty and freedom. And, it would be unthinkable for the parents of repatriates to bless or sanction such a marriage between a repatriate and local. “Akbars”, the repatriates, wanted to return to the West, especially those who were born in France and/or the United States; and the “deneracities” knew that the repatriates hated the Soviets and denigrated anything and everything about the USSR. There would be no compromises. And, in 1960, when Nikita Khrushchev had reached the zenith of his political power, he opened a small hole in the iron gates to allow Soviet citizens to crawl through. Some made it to the West. Others waited patiently. Their patience eventually paid off. How painful and distressing life became when unexpectedly Jeannot and his mother were granted exit visas. A dream come true. Back to France. Back to Nice. But Jeannot was in love. He and Laura planned to get married. There would be complications, delays, and maybe a “nyet” by the Soviets. “I will go,” said Jeannot’s mother who had been widowed several years earlier. Jeannot had never forgotten the world he had left behind when he was just a child. He, too, said that he would go home to France, but planned to return to marry the girl whom he adored loved. The parents would breathe a sigh of relief, while the two young lovers parted. However, they vowed never to forget each other. And they did not. The Francis Gary Powers Spy Plane Incident and the Cuban Missile Crisis suddenly refueled the Cold War and the two young lovers were left on opposite sides of the Iron Curtain. They would not see or hear from each other for years. Jeannot eventually found his niche in the business world and managed to accumulate substantial wealth. Not surprising since he had a degree and was fluent in Russian, Armenian, French and the English languages. He married and the marriage fell apart. He knew he had left his heart and soul behind in the Soviet Union. Laura also married. A professor who taught at the prestigious Moscow University seemed to have given her a life that most Soviets only dream about. She had completed a degree in metallurgy. Neither was ready for what was to happen next in their lives. Jeannot wasted little time. He picked up the phone, dialed the number and heard a man’s voice. “I’m an old friend of Laura’s and I would like to talk with her,” Jeannot remembers telling the person. “What do you want?” the man asked. The man repeated Jeannot’s name and Laura overheard it. She rushed to the phone. There was a silence that cripples the senses in such incidents. Laura was the first to speak. “Is it really you?” she asked. “Jeannot… I am married,” she whispered back into the phone. There was a long, nervous silence on both ends. Jeannot and Laura were married shortly afterward. And they have been inseparable since Fate reunited them. In a world of chaos, unnecessary bloodshed, and extreme nationalism, it is a joy to acknowledge and share a story of hope…a story of everlasting love.